Forums - What should I replace the stock ^N1p-EV with ? What should I replace the stock ^N1p-EV with ? I have an EH 6992 gold pins would that be better ? and what should I fit to better that ? Re: What should I replace the stock ^N1p-EV with ? Try the EH and see how it sounds. The gold pin version is not different from the steel pin version though. It is a good, quiet tube, however. I would not trust a JJ; I have been burned too many times with these. Don't get hung up on exotic 6922 variants; if you do you will have more invested in tubes than in the gear. If the EH gold pin doesn't glitter, then try a JAN Sylvania 6922 or 7308. Rivieraranch - wished I had seen your post earlier. I have been trying to decide on replacement tubes (not so much for the sake of rolling, but I want a spare set of tubes around in event of failure and thought that I would try something other than what came stock with the Torrii MKII). Anyway, I decided to give JJ a try and ordreed a matched set. Hope I don't have the problems you have had in the past with them. Also, I noted on a seperate forum that you had been inquiring in the 6N23P awhile back. I too had seen these listed and was curious about them. Did you ever order a set, and if so, what did you think? I hope you ordered from somebody such as Jim McShane, who will test the tubes competently before he sends them. Oh well. Try them out. I am sure JJ makes more good than bad; just their failure rate seems high. The power tubes that JJ makes are better than their small signal tubes. I have a JJ 6922 pair and an EH 6922 in my office CSP2 unit. These tubes are fine and have lasted around a year so far. The 6N23P-EV if I am not mistaken is the same as the Electro Harmonix 6922. These are regarded as very quiet. That is why they are recommended for that input position. The EH 6922 I have in my home CSP2 is microphonic but that does not seem to be a problem. I never bought any 6N23P-EV tubes because the prices seemed ridiculous. I am over the 6922 bug. I have had a Mullard 6DJ8, Seimens PCC88 but I sold all of them. The 6DJ8 is simply not an optimum sound and something was just not right with the PCC88. Going forward I am sticking with the JJ E88CC (6922) the EH 6922; maybe some JAN Sylvanias 6922's and 7308's I have accumulated; but nothing made after the mid-1970's. The Phillips "last gasp" 6922 tube production was just not very good. I have personally encountered a lot of dead and dying ones. I recently inserted an older Seimans gold pin 6922,in the hope of lessening a bit of hum. The hum seems a bit weker, but so is the bass impact. But that's not too big an issue, because in the bargain I've gained less background hash and more clarity in the mids and treble. A bit of glaze that was there that I never really felt was too bad, is now MIA. I've got another old Sovtek 6922 from an old Audible Illusions pre amp frm back in the early 90's that I may try next. I've also got 3 more of Seimans gold pins. But I think before I do anymore tube rolling, I'll just rediscover my amp for awhile. Good ieda. I find it really takes 100 hours or more to truly evaluate all the paramters of a tube/get a new one to break in. Sorry to chime in here. I use the Siemens e88cc "A" frame in my se34I. This is a very good tube that is similar if not better than a telefunken. It just depends on what you like. I also recently bought a pair of mid 80's Philips ECG Jan 6922 tubes for spares which very reasonable (£20). These are NOS and boxed, the sound is very good given the fact they are not even run in yet. I would say the mid 80's Philips ECG is a good alternative to a modern tube. But this is only my opinion and as I said the tube has not done the 100 hours yet. Not sure what brands or vintages you might have been referencing RR, but I did notice that the 6N23P-EV can be had fairly reasonably. Cryoset has them at $24, which could add up fast and seems to be on the high end, but I noticed on fleabay that they can be as low as $8. This lot is about $14 apiece. Funny you should mention that. I have been thinking of ordering some 6N15P-EV tubes from the Siberian Market people who list on ebay. They also sell the 6N23P-EV as well. The prices are not ridiculous for these. They are on par with new Electro Harmonix 6922, which is for all intents and purposes the same tube. I bought those Reflektor 6N23P-EV tubes from cryoset, and gave them a long chance in the Torii, and while stunning on some material, ultimately it was too crisp and tart for me. I like a more forgiving tube for use with all my material, and that one wasn't it. I put them into my second Torii, the Mk II in my bedroom system. There less than ideal placement makes the system a bit too warm, and so far they're working well to ameliorate that. I guess I'm not recommending 6N23P-EV unless you really like a lot of air and a far from a romantic sound (as Gopher uses the term, a use I agree with and a sound I like). I took the Seimans 6922 out and put the DecWare supplied tube back in. I think the siemans may have been long in the tooth,some day I'll get a tube tester. Anyway I have regained the added weight in the bass. I've just got to have a 6N1P in my Torii, it's the tube type I keep coming back to. If I were using analog sources I think a 6922 might work, but with digital sources I find the 6N1P has the warmth and just a tad of smoothness most of my cds need. I agree, I'm sold on the 6n1p. I've stopped trying other types, the 6n1p is the one I've settled in on. Well, on these enthusiastic recommendations, I will keep my stock tubes close at hand. Another thumbs up for the 6n1p. I also have a few 6922's of different flavors, but for my room/speakers/ears, the 6n1p is the best match. Very easy on the ears, full bodied, natural sounding. You could try a 6BQ7. They are electrically similar to the 6N1P and are dirt cheap. RR, thanks for the mention of this tube type. I ordered a pair of RCAs and have been listening to them in both of my Toriis. Very dynamic tube, perhaps a bit too analytical overall for my taste with some accompanying tubes. Still, a good avenue to explore with different brands, etc. Chris, you may wish to try this tube type out if you have not. . . . I've been reading, but haven't had any time to post. Hope all is well with everybody. I tried that tube and came to the conclusion (as well) that it was a bit too detailed for my current system. VERY good option for the price though. The 6N1P still easily stands out for me as the best sound. I've tweaked my digital front end a bit and while I originally felt the 0D3 was the best option, I've since settled on the 0C3 and have tried different varieties. My favorite is a 1940's pair of RCA 0C3's. The others I've tried are CBS-Hytron 1950's, Raytheon 1960's ?, Westinghouse 1960's, Sylvania's. All of those tubes affect the sound differently. I suppose I'd call it the "forwardness". Finally, I think it was Pale that mentioned the 1960's RCA rectifiers. I agree that for a warm, full bass they are without peer. I'm stocking up as well. Should have known you've covered that base! I've got a Coke bottle RCA OC3 in now, trying it out with this 6BQ7 pair. Sounds pretty good. My tube-rolling habit is beginning to get out of control! No, just kidding. Well, the 6N1P is back in place. The 6BQ7 was an interesting listen, but ultimately it was less open and deep sounding and I missed that sound the 6N1P brings. I put a 1967 JAN Sylvania 6BQ7A into my SE84C+ and found that it bested a black plate CBS 6BZ7 that I had in there. It was some more livelier and more detailed. I don't know if this is because the 6BQ7A has higher trans-conductance. I had first used a tired, old Seimens gold pin ECC88 in that position. While it sounded all right, its tiredness might have compromised the gain. The 1976 "black plate" 6N1P-EV I tried briefly in there felt warm and dynamic at the same time. It was not laid back by any means. So far I like the JAN Sylvania 6BQ7A and the 6N1P-EV for the SE84C+. I want to ad a tube that I want to find more of but cant. a few months ago I picked up 2 Sylvania 6dj8"s that were made in the USSR. Are they 6n1p's, 23's ,,,,,,,dont know , i know they sound great , after going through the realm of 6dj8's . any comments ???????? To my knowledge Sylvania did not make anything over in the USSR. You may be describing the 6N23P or 6922 equivalent. If you posed photos over at Audio Asylum tube section, Jim McShane or somebody else way more knowledgeable could opine. well fella's got my 6n23's , not a bad tube ,got to give it some break in time ,not the gold pins that are so expensive . alittle forward , but not offensive . more like a real instrument would standout. liking it. ????? Hey Lon . Do the cryo'd tubes make a difference? never tried them . realigning molecules, i guess it cant hurt??? To be honest, the cryo'd tubes I most value and have used the most, the "super cryo'd" tubes from cryoset.com, I may enjoy so much because of the choice of the tube itself. They certainly are a type/brand of 6N1P I haven't had in a non-cryo'd version, so I can't really make direct comparisons. I do think there may be some improvement from the process that shows up as sonic benefit. I have an open mind about it. One benefit I do think more than probable is longevity. Several sets of cryo'd tubes I have seem to have lasted longer than non-cryo'd versions. I want to say that there are slight tonal improvements in cryo'd versions too, but they're not huge if they're not imagined. . . . . I don't think so Donnie. At least let me put it this way: there doesn't seem to be audible changes along those lines. I'm not a scientist, but my reading along the lines of cryogenics makes me think that is not the case. why dont we pose that question to cryoset? Cool. If you're using 6N1P tubes, cryoset.com's super cryo'd version is an excellent tube. Yes, but what is the temperature differential between that of operation in a vacuum tube and arc welding? I really doubt that the temperature in tube use would re-alter the crystal structure. May be wrong. Again, my favorite cryo'd tube I haven't used in a non-cryo'd version and I may appreciate this tube for its natural qualities despite/beyond any changes from the process. But I tend to believe what I've read about the cryo process. yes lon The arc welding actually breaks down the metal. so dont think the tube will get hot enough , two different entities. the question is though , what should you replace the 6n1p-ev with ? Well a 6n1p. i have a whole shelf of 6dj8's and 6922, and even 6n23p to proove it. that my final answer. I'm sold on the 6N1P as well. I've decided not to stray from it. Great tube in these circuits. "Try the EH and see how it sounds. The gold pin version is not different from the steel pin version though. It is a good, quiet tube, however. I would not trust a JJ; I have been burned too many times with these. Don't get hung up on exotic 6922 variants; if you do you will have more invested in tubes than in the gear. If the EH gold pin doesn't glitter, then try a JAN Sylvania 6922 or 7308." I just rolled a JAN NOS Sylvania 6922 into my SE84UFO and it is a real winner. I also wrote about this in the Super Zen forum in a post asking about relatively inefficient speakers in a Super Zen system. The original 6N1P was great, but the Sylvania added a fullness and dimensionality that I now consider was missing, though not by much. 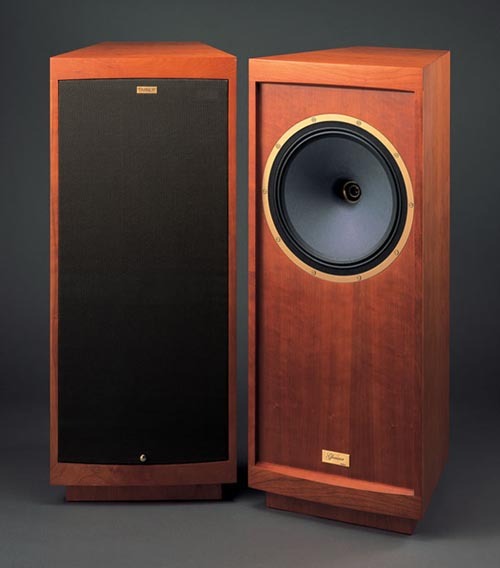 Some might not prefer it - it may be a matter of taste as well as room, speaker matching, etc. I too bought this tube mostly as a backup, not expecting much, but was presently surprised. It's staying put.